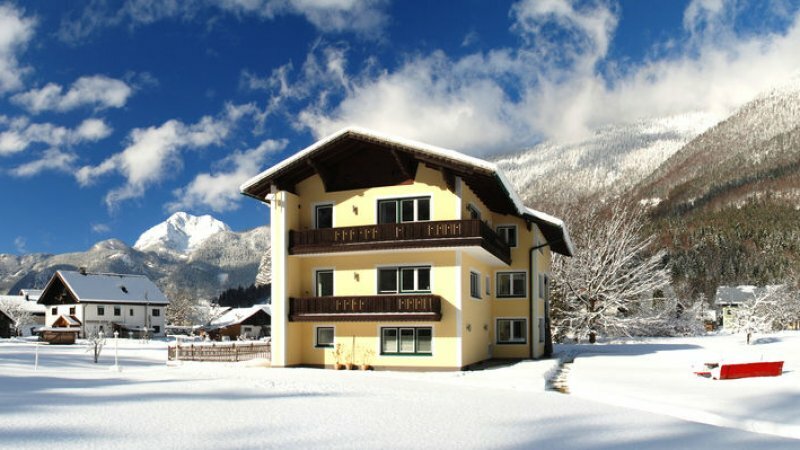 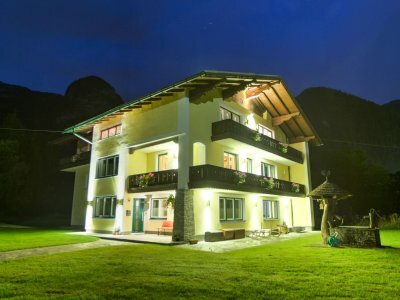 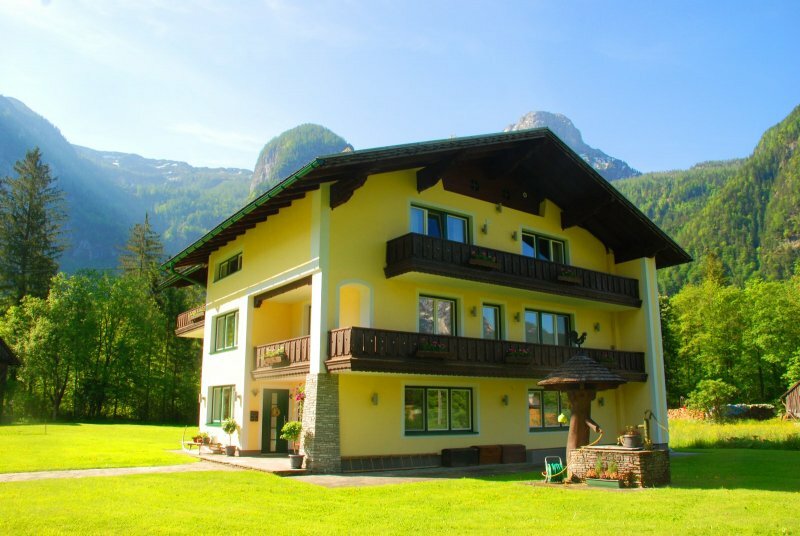 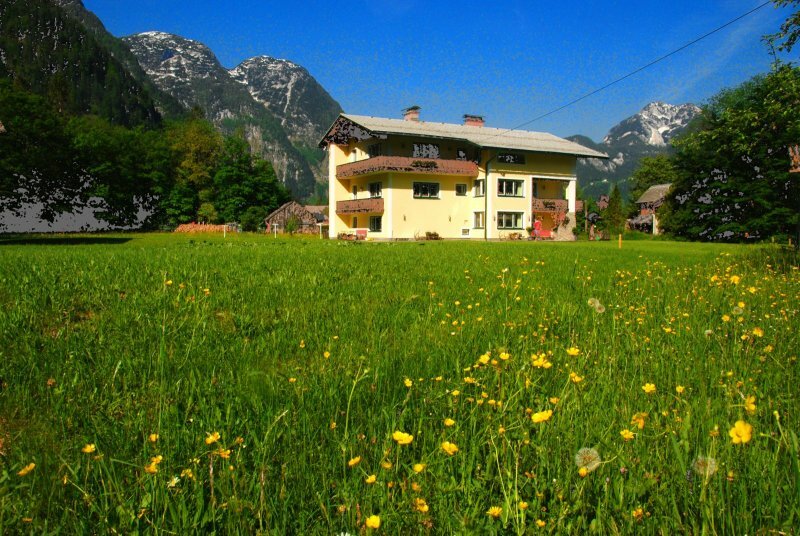 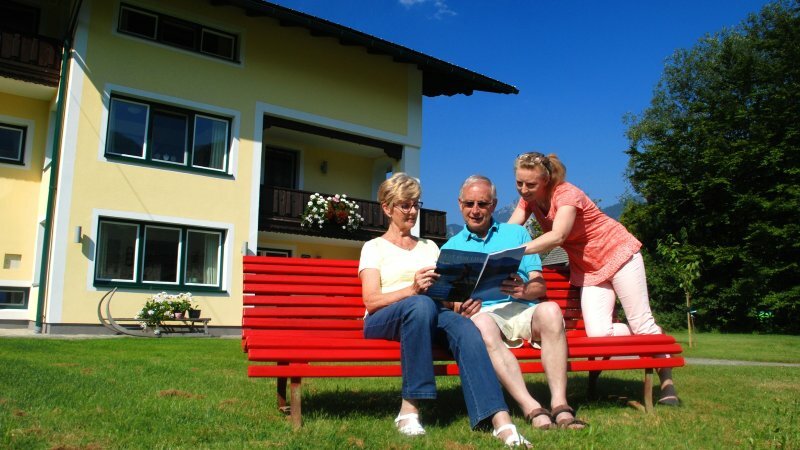 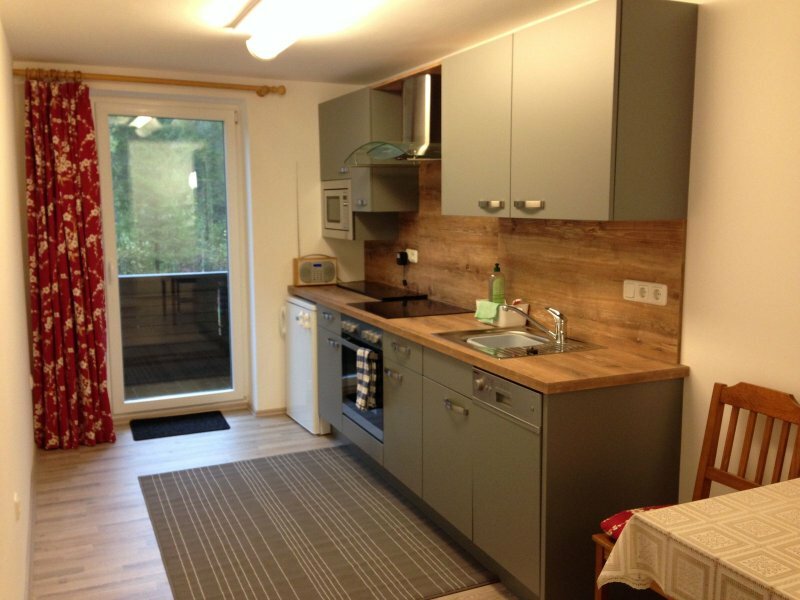 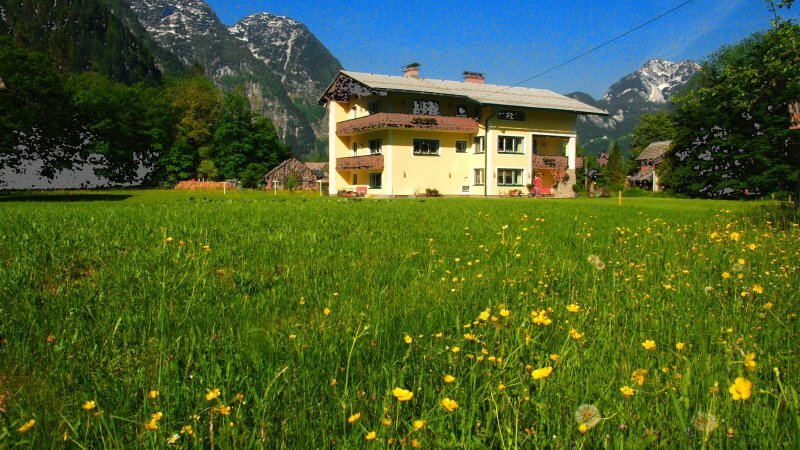 Combining tranquillity, comfort and stunning panoramic views of the Krippenstein and surrounding mountains around Lake Hallstatt.Landhaus Lilly Apartment for 2 persons located on 2nd floor: Traditionally furnished apartment offers bedroom with hand carved furniture, separate fully equipped kitchen and new shower room. 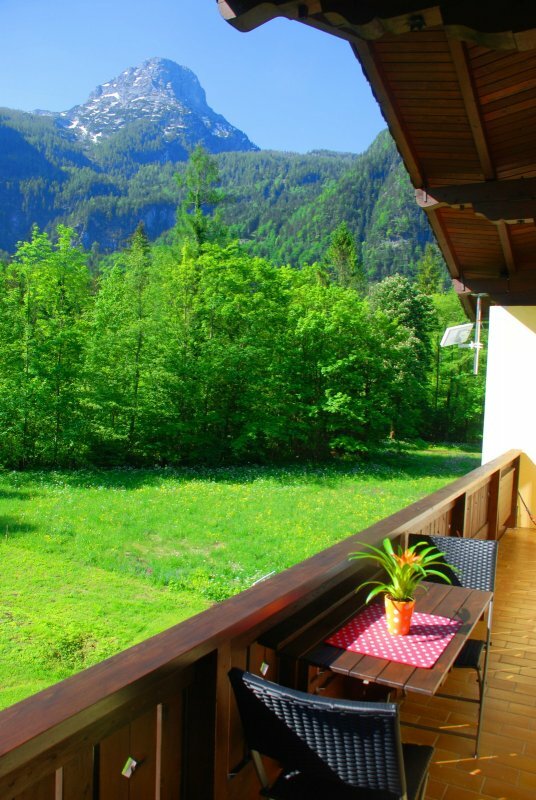 Spectacular and uninterrupted panoramic mountain views from the balcony. 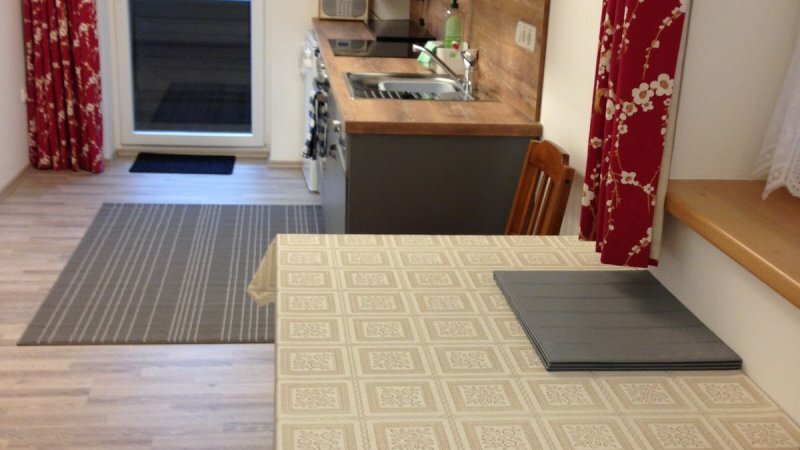 Flat screen satellite TV, Wi-Fi (free wireless internet). 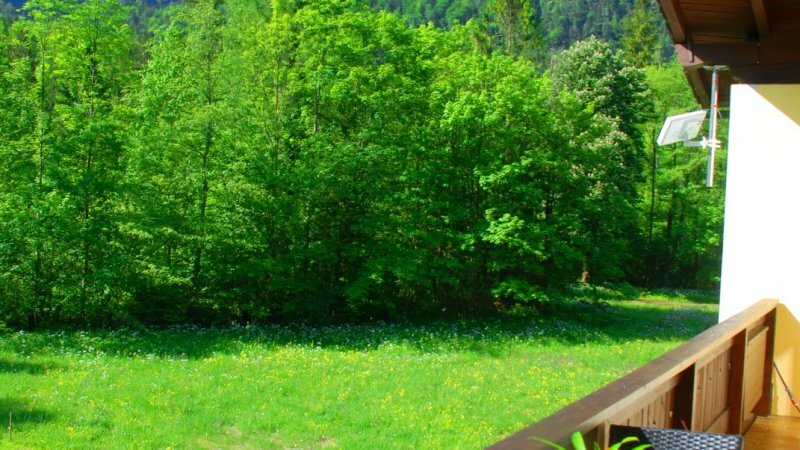 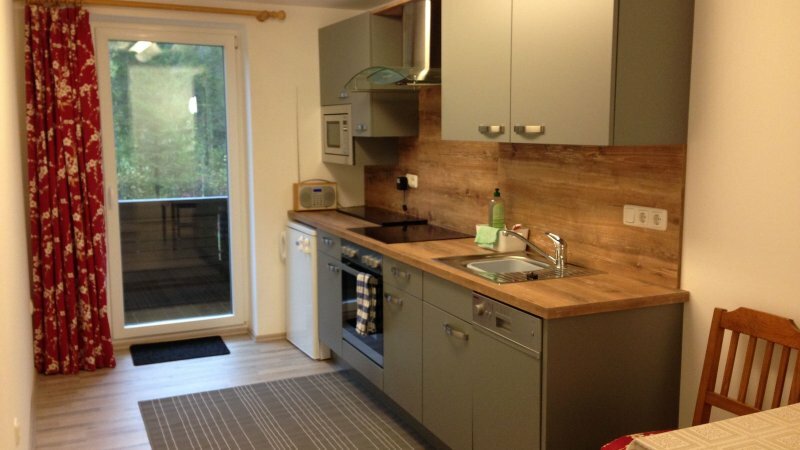 Landhaus Lilly bei einem Urlaub in Obertraun am Hallstättersee: Ihr Blick aus dem Fenster. 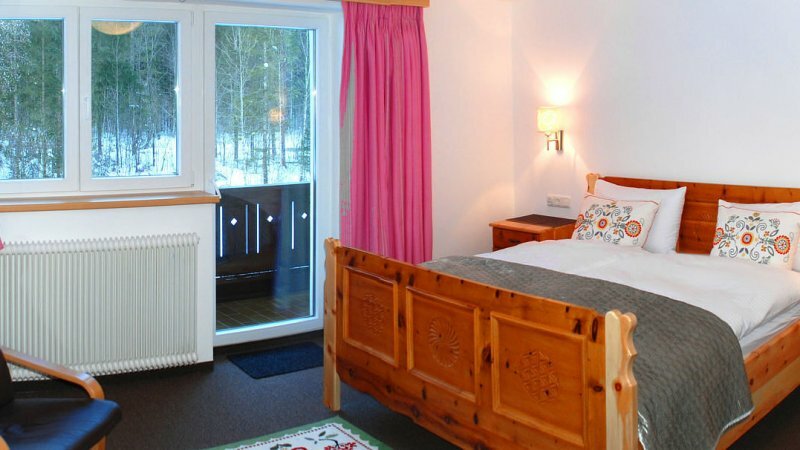 Apartment Facilities:Bedroom: Large hand carved double bed, wardrobe and dressing table, flat-screen TV and integrated DVD player, hairdryer, comfortable chairs. 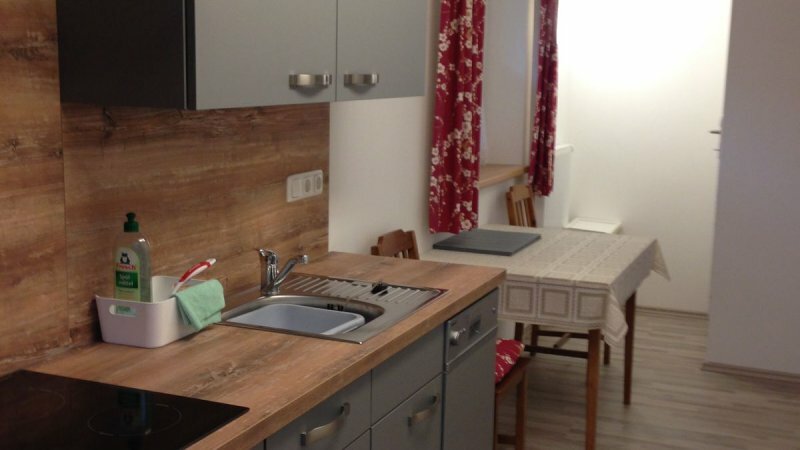 Kitchen: Refrigerator, dishwasher, microwave, oven and hob electric kettle, sink, table and chairs, cooking utensils, pots and pans, crockery. 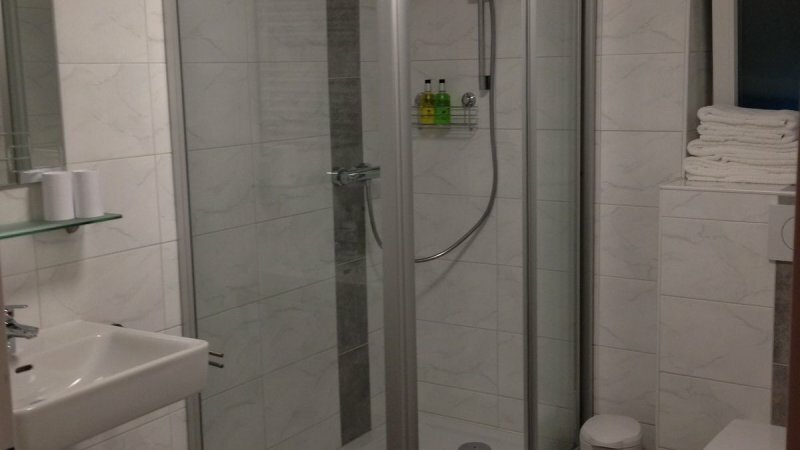 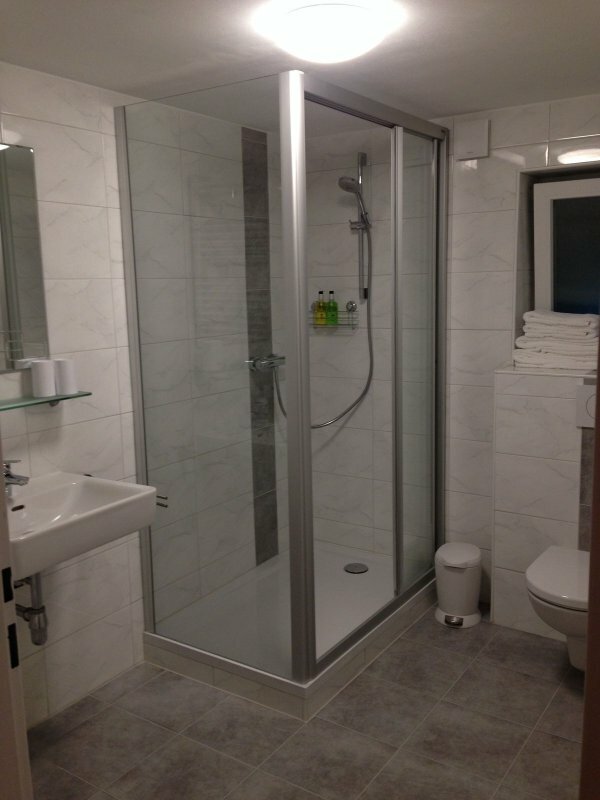 Large en suite shower room with free toiletries and towels. 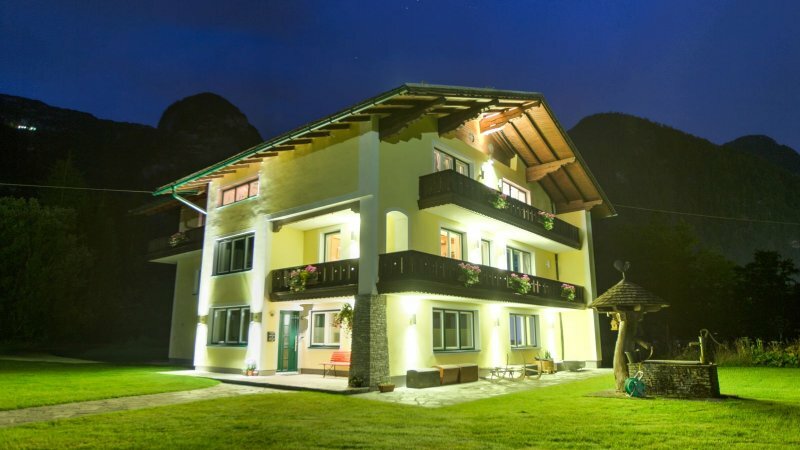 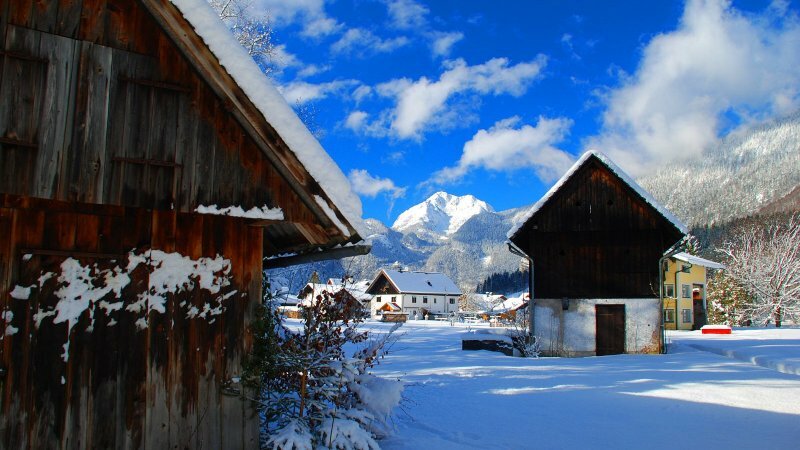 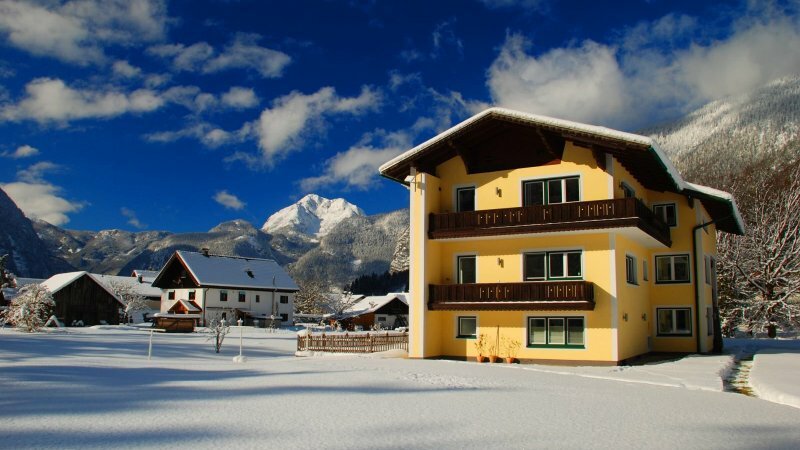 Located amidst stunning mountain scenery, 5 km away world-famous lakeside town of Hallstatt in the UNESCO World Heritage region Hallstatt Dachstein Salzkammergut. 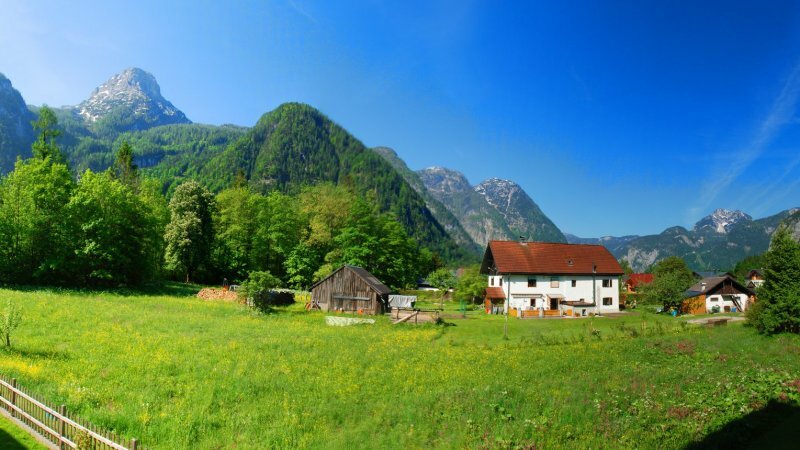 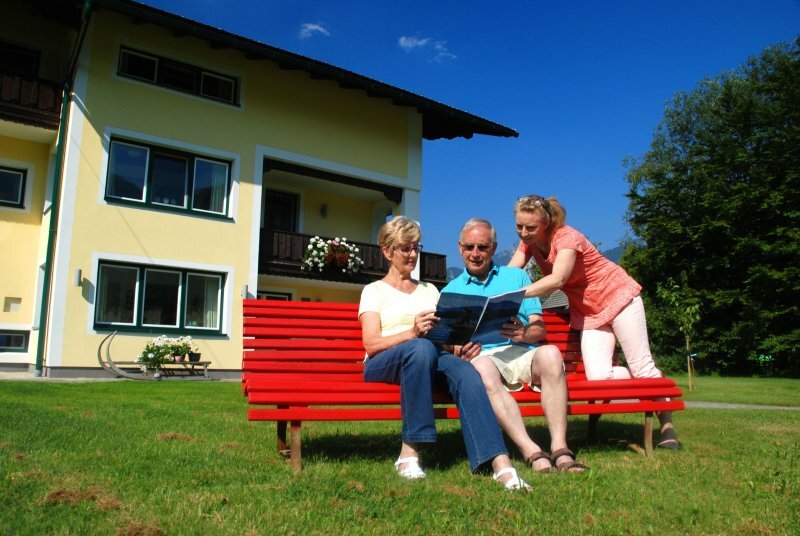 In the summer months hiking, cycling and walking are popular, as well as exploring local towns and villages. 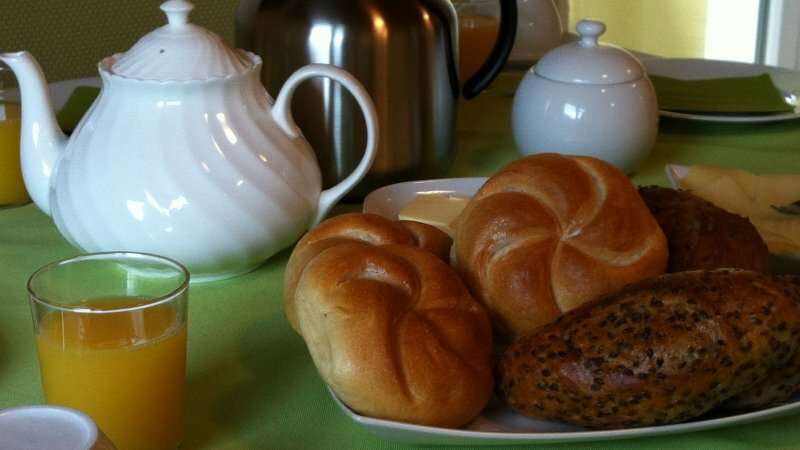 Guests can return after their activities to relax in their ‘home away from home’ and take in the scenery from this charming English-run B&B. 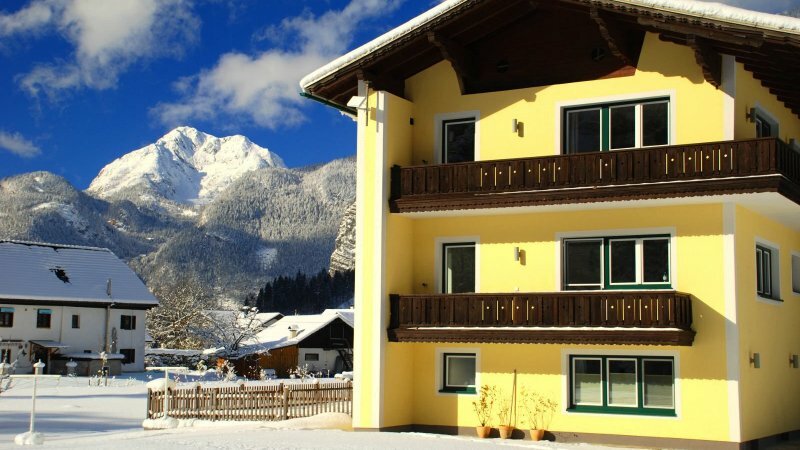 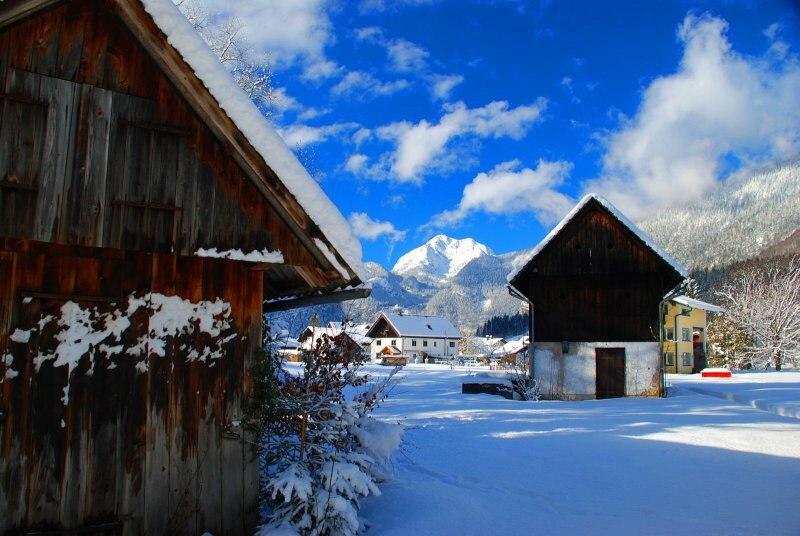 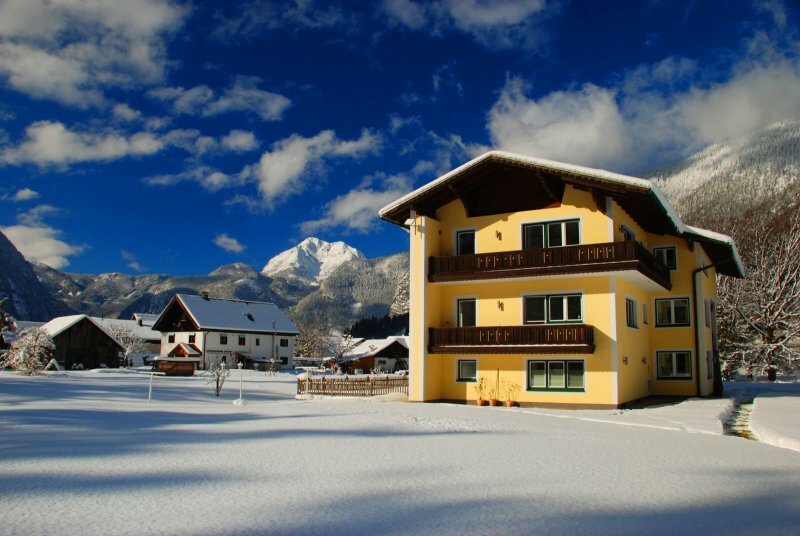 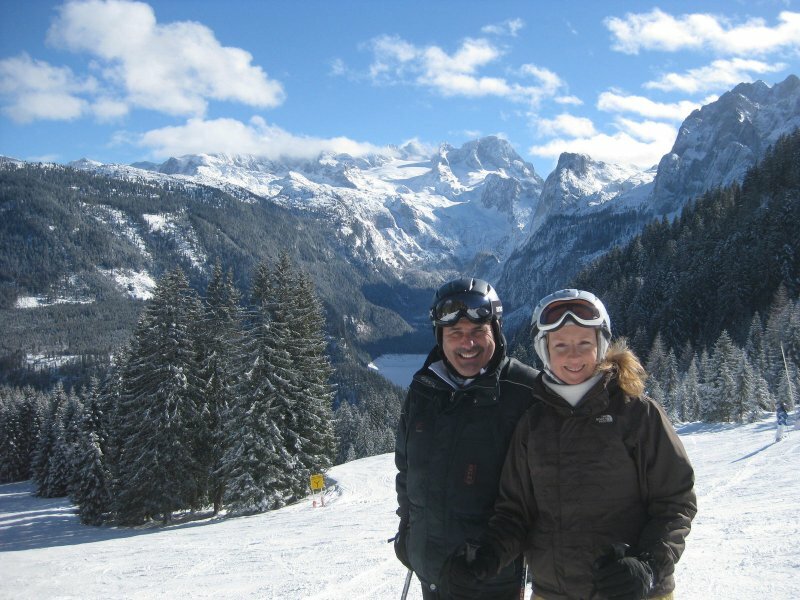 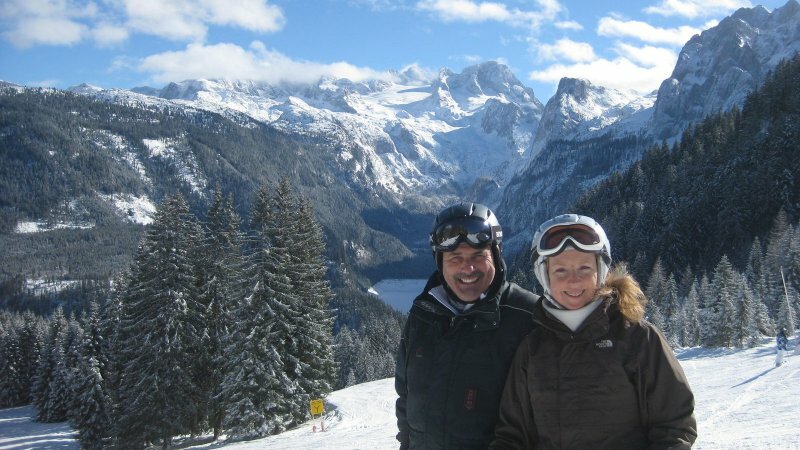 In winter the ski area "FreeSportsAreana Krippenstein is accessed by cable car (3 minutes drive away) and cross-country skiing is available on the doorstep. 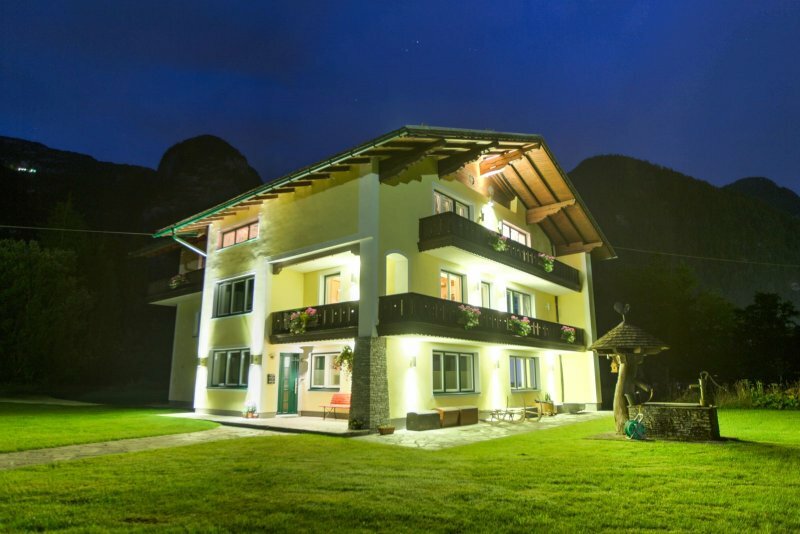 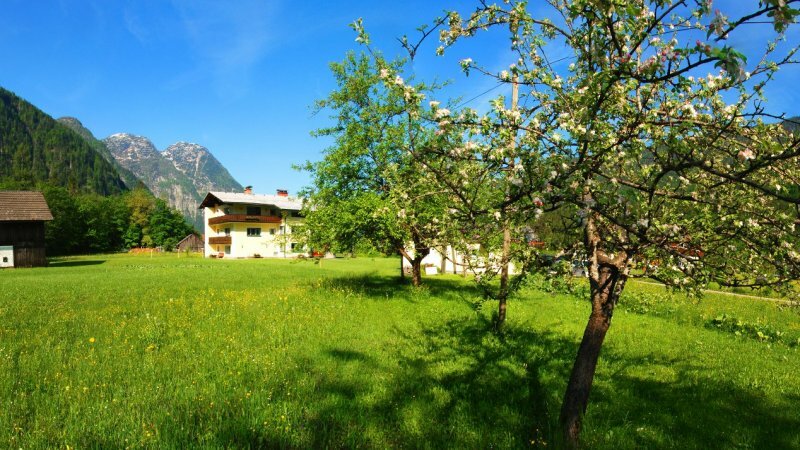 All of this is what makes the Landhaus Lilly in Obertraun not just a popular bed and breakfast for summer and winter alike, but a true holiday experience on Lake Hallstatt. 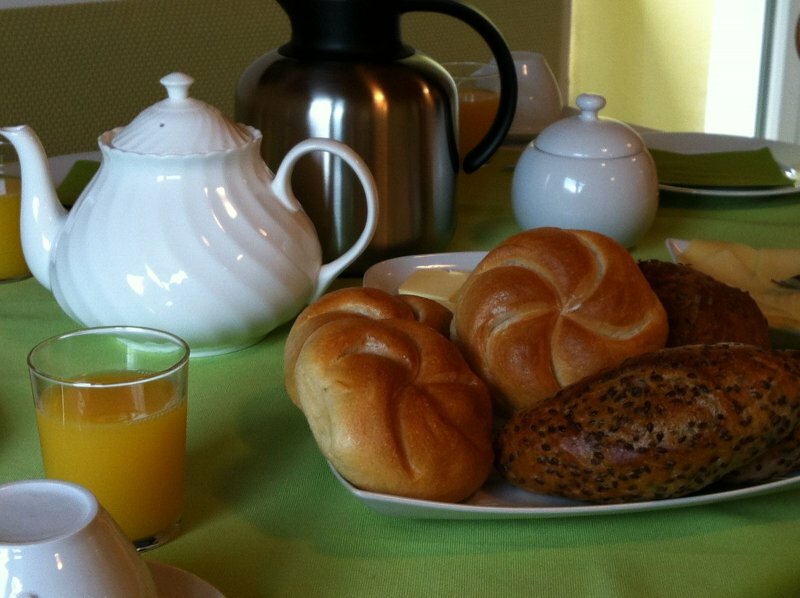 Or, would you prefer a Bed and Breakfast room? 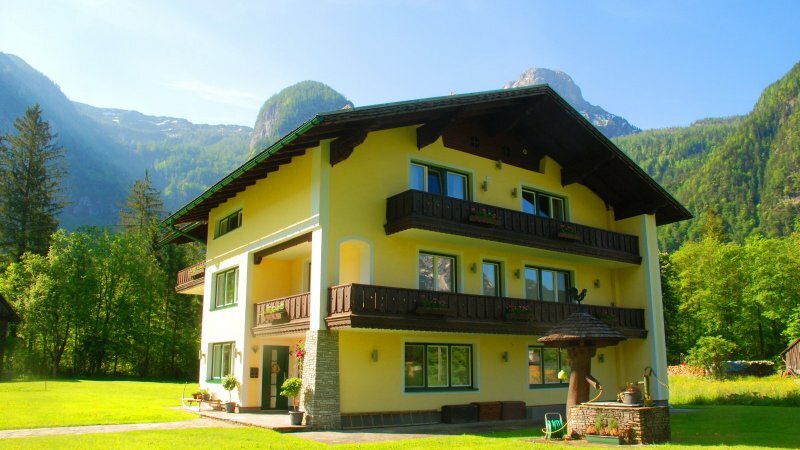 Landhaus Lilly is not able to cater for younger children – but children over 10 years old are welcome at Landhaus Lilly. 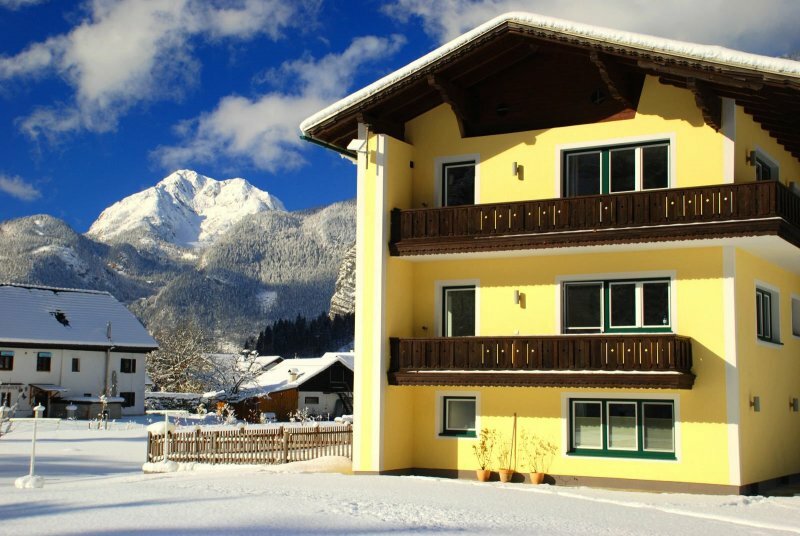 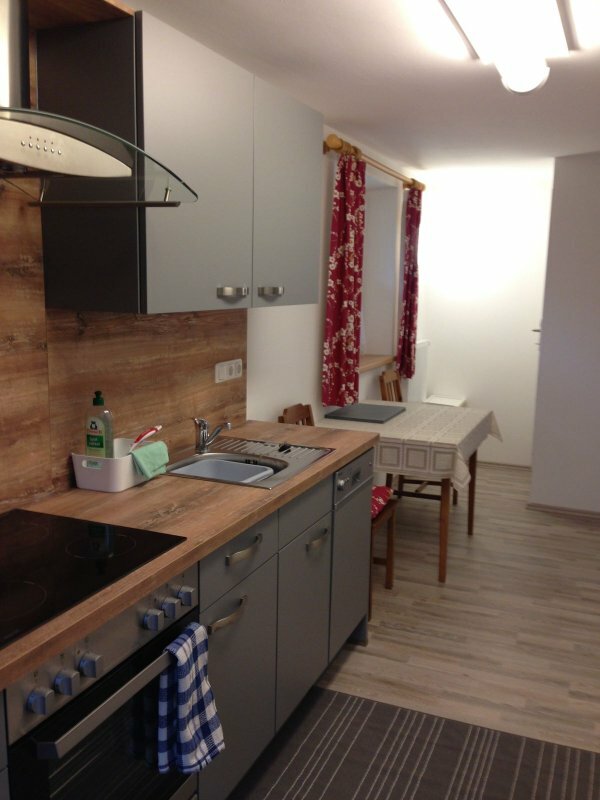 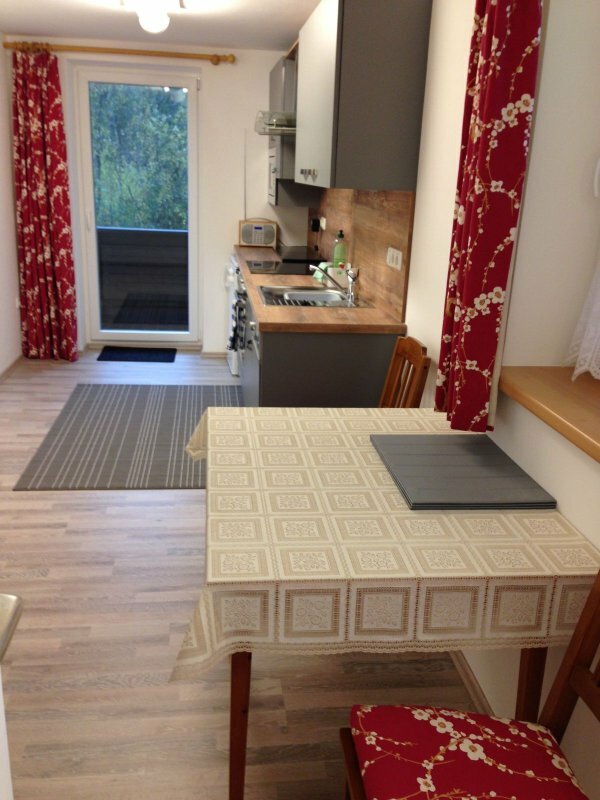 Send booking inquiry for Holiday Apartment Landhaus Lilly now!